ABOUT US - Have Art: Will Travel! Inc. ABOUT US - Have Art: Will Travel! Inc.
LINDA STEIN, (LindaStein.com), Founding President of HAWT, is an artist-activist, lecturer, performer, and video artist. The core of her work addresses issues of empowerment through social justice. Stein’s solo exhibition, The Fluidity of Gender: Sculpture by Linda Stein, is currently traveling the country and abroad through 2020, accompanied by her feminist lectures, collaborative HAWT–GIG performances by local community members and students, and exhibition catalogs. Stein is the Founding President of the non-profit 501(c)(3) corporation, Have Art: Will Travel! Inc., V.P. of the Women’s Caucus for Art, and Art Editor of On the Issues Magazine. Stein is represented by Flomenhaft Gallery in Manhattan, and has her archives at Smith College. Her work can also be followed on Facebook, LinkedIn, Twitter, her Blog and YouTube. For outdoor bronzes, in addition to private commissions, Stein has been awarded the commission for a larger-than-life Knight sited as the central sculpture for the $4 million Walk of the Heroines at Portland State University in Oregon. Two more exhibitions will travel soon: Displacement from Home: What to Leave, What to Take (DC4) and Sexism and Masculinities/Femininities: Exploring, Exploding, Expanding Gender Stereotypes (SMF). In 2018, Stein was honored as a Leader of the 21st Century by Women’s E-News. In 2017, Stein received the NYC Art Teachers Association/UFT Artist of the Year award, and in 2016, she received the Artist of the Year Award from the National Association of Women Artists. 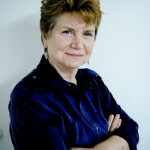 HELEN HARDACRE earned her doctorate from the University of Chicago in 1980. She has done extended field study of contemporary Shinto, Buddhist religious organizations, the religious life of Japan’s Korean minority. She has also researched State Shinto and contemporary ritualizations of abortion in Japan. Before moving to Harvard in 1992, she taught at Princeton University (1980-1989) and Griffith University (Australia) (1990-1991). Her publications include The Religion of Japan’s Korean Minority (1984), Lay Buddhism in Contemporary Japan: Reiyukai Kyodan (1984), Kurozumikyo and the New Religions of Japan (1986), Shinto and the State, 1868-1988 (1989), Marketing the Menacing Fetus in Japan (1997), and Religion and Society in Nineteenth-Century Japan: A Study of the Southern Kanto Region, Using Late Edo and Early Meiji Gazetteers (2002) and Shinto: A History (2016). Her current research projects include a book-length study of Shinto history, a project concerning the issue of constitutional revision in Japan and its effect on religious groups, and the study of Japanese secularism. Dr. Hardacre chairs and participates in several organizations related to HAWT’s mission including Women, Gender and Sexuality Studies. 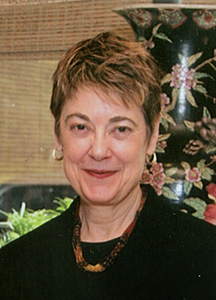 In 2014, Dr. Hardacre was inducted into the American Academy of Arts and Science. In 2018, she was awarded the Order of the Rising Sun, Gold Rays with Neck Ribbon, from the Japanese government. REBECCA SIEMENS SPOONER will join our BOARD OF DIRECTORS on January 1, 2019.